See Full iPhone 7 Technical Specifications here. iPhone 7 reaches a new level of innovation and precision. The jet black finish is like nothing we’ve ever made. The enclosure is splash and water resistant. The Home button is completely reengineered. And with a new unibody design that’s seamless to the touch, iPhone 7 feels as amazing as it looks. 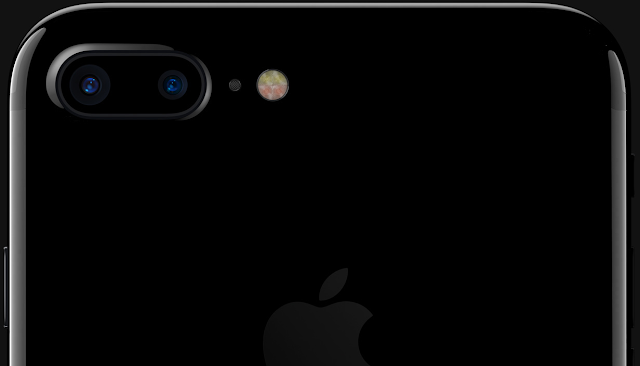 With iPhone 7 and iPhone 7 Plus, we’re introducing a beautiful black with a matte finish and a deep, high-gloss jet black. Both the 4.7-inch and 5.5-inch models - constructed with incredibly strong 7000 Series aluminum - are also available in our signature silver, gold, and rose gold finishes. Crafted from bead-blasted aluminum, our new black model has a rich, deep matte finish. The high-gloss jet black finish was achieved through a new feat of design engineering - a remarkably precise, nine-step process of anodization and polishing. The end result is so purely and continuously black, you can’t tell where the aluminum ends and the glass begins. The dark side, indeed. Depth of field allows you to keep faces sharp while creating a blurred effect in the background. When you take a shot with iPhone 7 Plus, the dual-camera system uses both cameras and advanced machine learning to make your subject sharp while creating the same out-of-focus blur in the background — known as the bokeh effect — previously reserved for DSLR cameras. So no matter what’s behind your subject, it’s easy to create a great portrait. 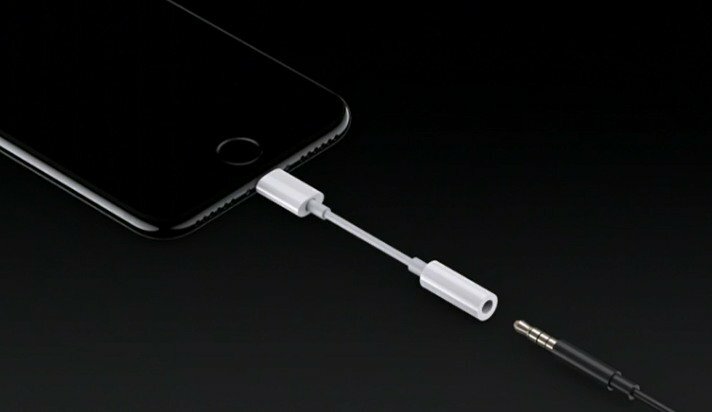 iPhone 7 comes with EarPods that have a Lightning connector. But if you still want to listen through your old headphones, you can plug them in using a 3.5 mm headphone jack adapter, also included. 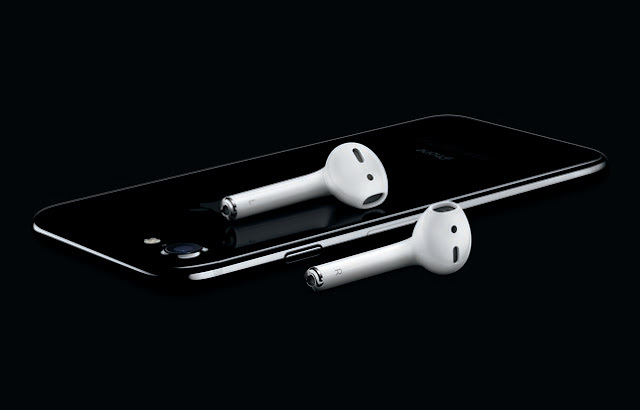 The new AirPods offer a game-changing listening experience. Designed with a huge amount of forward-thinking technology inside a tiny device, these wireless headphones combine crystal clear sound with a new sense of freedom. With the A10 Fusion chip, this year you’ll get more time between charges than ever before. Take advantage of up to two more hours on iPhone 7 and up to one more hour on iPhone 7 Plus than the previous generation. 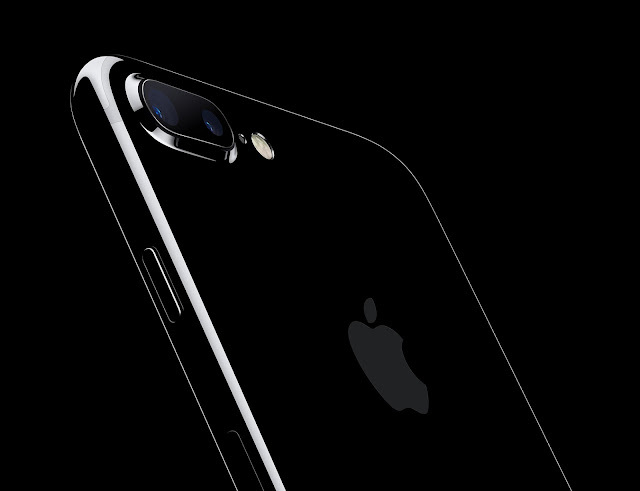 iPhone 7 doubles the capacity of iPhone 6s across the line to 32GB, 128GB, and 256GB. So bring on the apps. Bring on the videos. iPhone 7 can take it. Literally. Faster LTE with the best worldwide roaming. 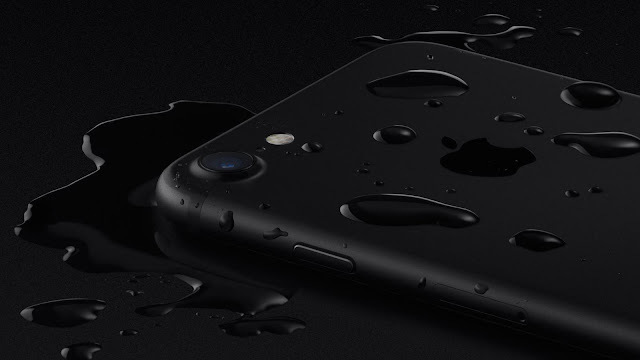 In the US, the iPhone 7 starts at $649 for the 32GB entry-level variant. 128GB iPhone 7 costs $749 and the 256GB model will be available at $849. The iPhone 7 Plus start at $769 for 32GB storage. The iPhone 7 Plus has been priced at $869 for the 128GB variant and $969 for the 256GB variant. 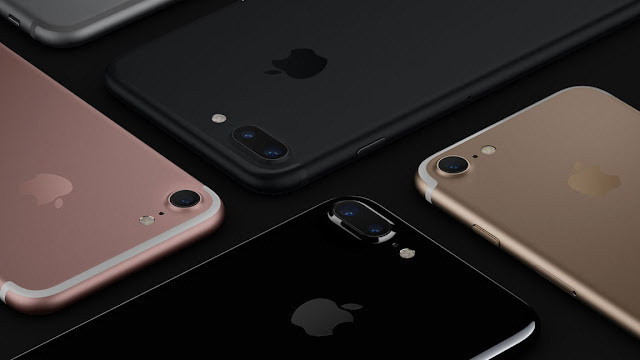 iPhone 7 will launch in India at a starting price of Rs. 60,000 for the new 32GB base storage model. There's no word on the price in India of other variants.